Cardinal’s American-made stainless steel tension load cells are ideally suited for single or multiple load cell tension applications. Simplicity of design permits their use in a wide variety of configurations. The ZX250, 500 and 1000 load cells are potted with a proprietary waterproof sealant that remains flexible over the life of the load cell and protects the load cell strain gauges over a broad temperature range. Load cells ZX-2500 and up have the gauge cavity sealed by a welded stainless steel cup. Metric threads are available on most models. NTEP legal-for-trade certified. Available capacities range from 250 lb / 113 kg to 20,000 lb / 9072 kg. Click below to see the literature on the Cardinal’s ZX series stainless steel tension load cells with USA made quality. The ZX series is the superior choice for single or multiple load cell tension applications. These cells are NTEP certified for use in commerce and capacities range from 250 lb to 20,000 lb. 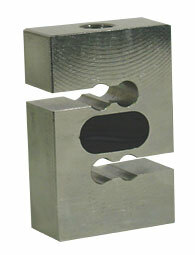 There is also new literature available for Cardinal’s Z series tension load cells. These waterproof tension load cells are ideally suited for single load cell tension applications. Fabricated from aircraft-quality aluminum alloy, these cells ofer a cost-effective solution to many tension applications. They are potted with a proprietary sealant that provides for superior water protection and remains flexible over the lifespan of the load cell. The cells feature threaded holes on each end for hanger assemblies. Every year we are asked for recommendations and quotes on various scales that we sell for weighing fish that are caught in a tournament. These fishing scale reviews are based on our experience and years of selling these items to customers. The weigh-in scales that we review are basically the ones that we sell. We don’t usually comment on scales that we have not sold since our experience is limited on those products. Often we are asked things like what is the best fishing scale and the answer to that really depends on several factors. Things like, how often are you planning on using the scale, and how accurate do you need the scale to be? Does the scale need to be “waterproof”? What is your budget? These are things that need to be considered before making a purchase. One other question that we don’t often talk about but it is worth mentioning is salt water. If you are planning on using the equipment around salt water, that is good to know when we make recommendations. We were recently invited to provide a written quote on a 5’x5′ floor scale at a metal recycling center in North Carolina. When we sent the customer a quote for a quality set of floor scales, he replied back with the statement. Do you carry any other type, that are less. In other words (brand x) scales are around 500.00 and I told (co-worker) that we could buy almost 3 for the price of 1 and if one breaks down we would have a back up. Of course our first comment would be, it might be a good idea to buy two or three of them so you have a system that works! Seriously, if you’ve read any of our blog posts in the past, then you know our philosophy when it comes to floor scale systems. You can always find a set of scales at a cheaper price. Lets face it, in today’s world doesn’t that almost apply to just about any product? There is always somebody down the street willing to sell something a little cheaper. And often times if they can import a bunch of junk that has serious QC issues and sell them to unsuspecting customers who are simply looking to get a good deal, then that is what they will do. That is why we focus on providing you a set of platform scales that we have confidence in. The other note worth mentioning is the scale he was “comparing” our scale to wasn’t even legal for trade. The main point of this entry is, give us a call or send us an email and we can provide you with a quote for a weighing scale that we feel will meet your needs. If you have a budgeted price in mind, be sure to let us know that too. Often times when something costs a lot less than other similar products, there is a reason.